You can book direct with the Park by Reserving Online or click on the Hoseasons button to book online. You can book online with our affiliated booking agents, “Hoseasons Holidays”, with their upto the minute live booking system. A deposit of £50.00 is payable at the time of booking for any holiday or short break with the balance payable within 6 weeks of your arrival date. For holidays that start within 6 weeks, full payment will be required at time of booking. If you find that you need to cancel or amend your holiday please contact us on 01766 512001. 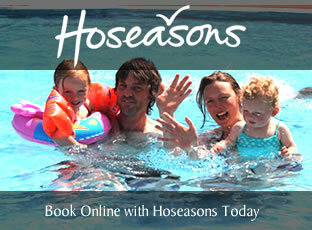 If your booking was made through Hoseasons, you are required to cancel or amend your holiday with them.